pools- Sunny's Pools & More! If you want to experience the biggest sale in Michigan on pools, hot tubs, or spas this is an event you wont want to miss! We need to get rid of our overstock and we need your help! 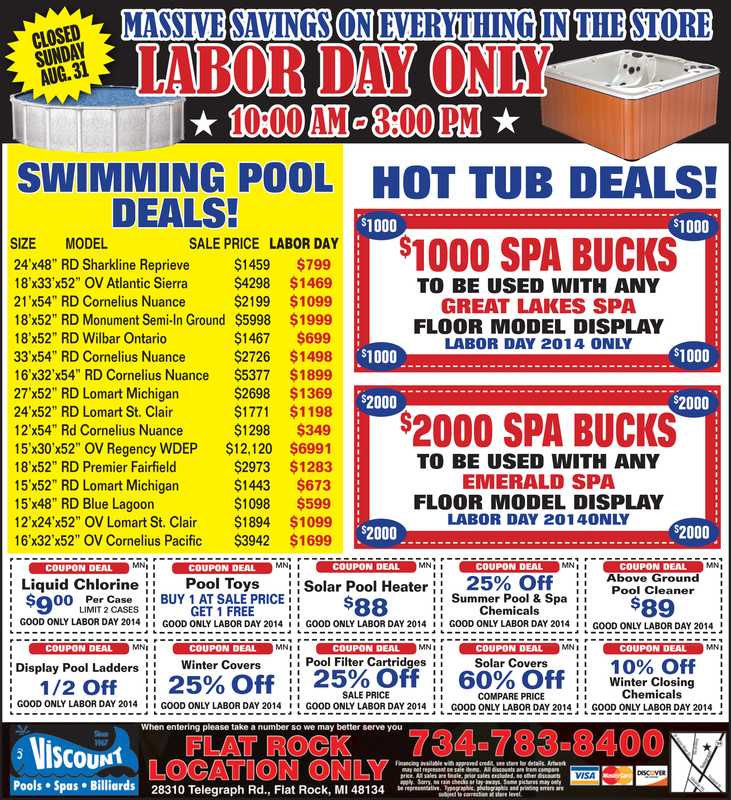 We have pools up to 50% off, up to $2000 off Emerald Spa overstock, plus so much more! As you prepare to close your pool for winter, save 25% on winter pool covers! There is so much to take advantage of at our annual Labor Day only sale! Be sure to check out the other great deals going on this month!